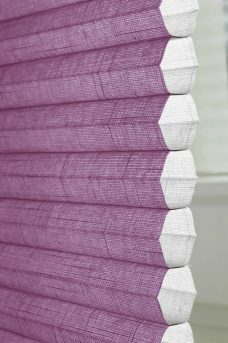 Duette Blinds in this section are all 32 mm and from the Batiste collection. These Duette blinds are transparent so that light will pass through the fabric. 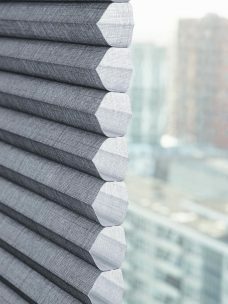 All Batiste blinds, as can be seen are honeycomb shape. The fabric construction resembles a woven linen look in addition to a natural feel. By the same token, as well as providing a central part in any colour scheme. NB If the window you wish to dress is visible from the outside; others will be able to see into you home in the evenings when the light is on. 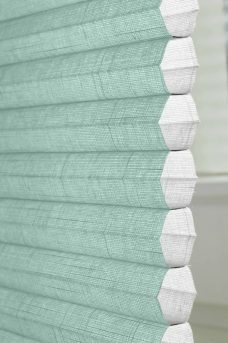 Given these points, you may need to add some curtains with these Batiste Blinds. 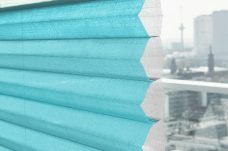 All photos on our website are provided to illustrate how the blinds may look. As monitors or devices vary, please order a sample to check that it is suitable for your needs.